For example, this morning I woke up with an idea to make a 4 foot long clear plastic racing channel for cockroaches. I deviced a way to paint racing stripes on roaches my kids could catch in PNG, and then how to get them to race through a track device without escaping. Silly idea.. my wife says 'have fun with that one, I'm not coming near it and NO you can't use my paintbrushes!'. Not every idea is a winner. Some are. Some are HUGE winners, some are little tiny things that turn out to impact and encourage other people in huge ways that I never anticipated. I'd say that on average, I put about 70% of my ideas into motion, and from that, about 10% of those ideas ever come to completion, and from that, about 50% of those turn out to be worth while. Which means, on any given day, I'm working on another idea, and about once a week I complete an idea and it turned out to be worth doing. I've had people ask me, and wonder how I do so many of these little (what they call) - side projects. "Chad how do you do so many creative things?" I don't really know. I just know that I like to live my life always having an idea or a project running in the back of my mind. And I don't like the ideas to stay in there and fester, I have to do something about them…. so I do. I find the time and do them. People sometimes say 'you have a too much free time.' I don't really. I don't have any more time than anyone else. Some of my big ideas never get to completion because well, I get stuck along the way trying to figure out part of it. Some of the ideas are to raise money, some are to bring smiles, others are just to satisfy curiosities. The big ideas I have, that sort of get stuck in the process, never leave my mind… they sort of stew there and become dreams. Today I read this and really liked it. "It is good to have a dream so long as you do not let it gnaw at the substance of your present. I have seen men consumed by their dreams, and it is a sour business. If you cling too tightly to a dream then you miss the felicity of you heart beating and the smell of the grass growing… Your dream should be like that of a favorite old bone that you savor and cherish and chew upon gently. Then, rather than stealing from you a wasted sigh or the life of an idle hour, it nourishes you, and you become strangely contended by nostalgia for a possible future, so juicy with possibility and redolent of sauteed garlic and decadent slabs of bacon that you feel full when you've eaten nothing. And then, one fine day when the sun smiles upon your snout, when the time is right, you bite down hard. The dream is yours. And then you chew on the next one." Yes I read books daily. You know what I would love to do when/if I ever retire? I would love to meet someone who has a ton of money and lacks inspiration. I would like to partner with that person and share ideas and watch what we do to change the world! The list is endless in my head. Ideas to better humanity, make people smile, bring clean water, more power, low power, God's Word, speed production, the list of ideas goes on forever, but we don't. Here's hoping you have dreams and the ones that have eternal value, become reality! THIS IS EXCITING! Something exciting is happening here. The book is written, edited, copy edited, proofed, and ready to send to the publisher. Artwork needs to be done, formatting, copyrighting, isbn'ing, all kinds of things... but I can't start until I reach 100%. 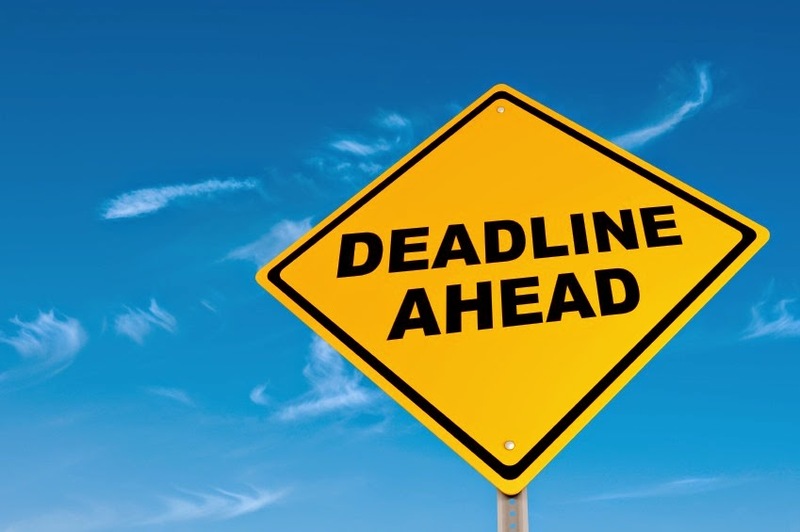 If I reached 100% before Jan 31, I could cash in on some great publishing promotional offers that I would love to take advantage of, but I'm committed to trusting the Kickstarter community. If we don't reach 100%, we don't publish. That's been my motto since the beginning. I'm using it as a sign from God, a fleece, if He really wants my book out into the world, and intends to bless it, and get it to people who need to read it, than, He'll provide the funds. I don't normally throw fleece's to God, in fact, I don't think I ever have in my life. I don't take it lightly. I want very badly for my book to get published, but I've wondered the entire time, if God wanted it done. 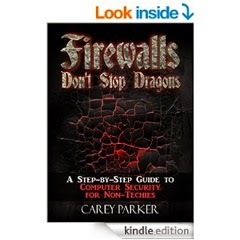 Is my book something that will truly benefit people? I think it'll help make people understand those missionaries they support more, help those who support us understand us more, and help those considering to become missionaries, have plenty of information to consider before doing so. I think those who read this book and then decide to become missionaries, will be the type who stick with it, and bear those hard times. I think it's a useful tool. But I've wondered if God would bless it. Will He? That's what this Kickstarter campaign is all about. Showing me, and showing you, that God intended for this book to get written and published. It would be His way of assuring me that all of this journey wasn't only about me crossing an item off my bucket list, but it was instead something He inspired because He intended for someone to read the words within. I figure, if we don't reach 100% the book wasn't meant to see the light of day. The project has been sitting still for a while now, but I'm told that's normal with Kickstarter campaigns. We'll see, for me, watching the numbers climb is like watching God's encouragement of my labors climb. Maybe it was a stupid idea to put this fleece out there, but I'm committed to it at this point. And I'm excited about it! 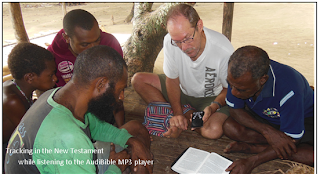 My friend and co-laborer Jeff had brought a copy of the audiBible with him to Long Island, PNG. He took a motor boat out to the Lokep speaking people, for a few days. The initial response to the audio Bible in their language (Arop Lokep) was excitement! They were so excited that the Arop dialects did not seem to bother them. (Jeff and I along with several others worked for a long time, to develop the Arop-Lokep New Testament Audio Edition). Jeff quickly ran out of all of his audio players and New Testaments, and was sent back to get more. Praise God, His Word is reaching more and more people in Papua New Guinea, every day! In 2004 when my family began the process of deciding to become missionaries, we picked up this little book called "From Akebu to Zapotec". It's a book we used to help prepare our kids to move overseas and think about other kids their age. You may have seen it, we showed it to a lot of kids. It was a children's book that featured a group of people without the Bible in their heart language, for each letter of the alphabet. This story below, is an excerpt from Bob Creson's book "The Finish Line", specifically about the entry under the letter "U" that our family found so interesting. I had not known this story was going on in the background the whole time and I find it fascinating how God works. It's awesome when we experience those moments were some small piece of the intricate tapestry God weaves is revealed to us. Children can pray, too. Just ask Andy and Andry Minch, who helped the Amanab people of Papua New Guinea translate the Scriptures into their language. 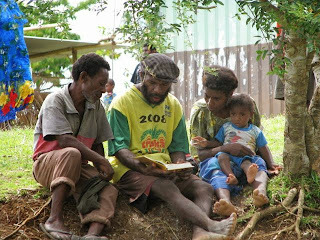 After the dedication of hte Amanab New Testament in 2001, the Minches moved out of the village. Two years later, during Christmas of 2003, the Minches returned for a visit and found abundant evidence that the Word of God was impacting Amanab lives. In fact, the Amanab people were sending one of their own as a missionary to a neighboring unreached people group. The church leaders told Andy and Audrey that they'd received a request for help from the Umeda people, who lived a day's hike away. The Umeda wanted someone to come live with them, teach them aboug God and help them start a church. The Amanab church, after praying and fasting, felt God leading them to appoint a man named Simai as their missionary to Umeda. 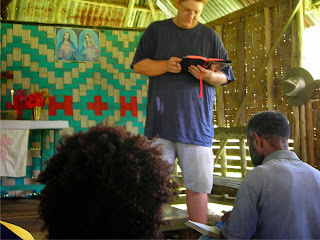 Several months later, in his role of overseeing translation programs to Papua New Guinea, Andy received a request from Wycliffe, USA for permission to translate some stories about Papua New Guinean people groups from English into another language. The stories were part of a children's book called "From Akebu to Zapotec". This little book contained colorful illustrations and brief descriptions of twenty-six unreached groups (one for each letter of the alphabet) that at the time were still waiting for God's Word. The book was designed to encourage children to pray for these groups by name. Leafing through the book, Andy discovered that one of the featured language groups was the Umeda. Up until then, he'd assumed only a handful of people even knew that this tiny group of three hundred people existed. Suddenly he realized that thousands of children knew about them and were praying for them. And God had answered. He'd created a hunger in the Umeda people to know Him, and He'd created a willingness in the Amanab to stretch their meager resources to send one of their own to tell their neighbors about Him. Today, the Umeda people have been changed, and have begun their own church. This story says a lot. It talks about how God's Word changes lives, it talks about the power of prayer, it answers questions people ask us often like "why are you translating Bibles for people?" 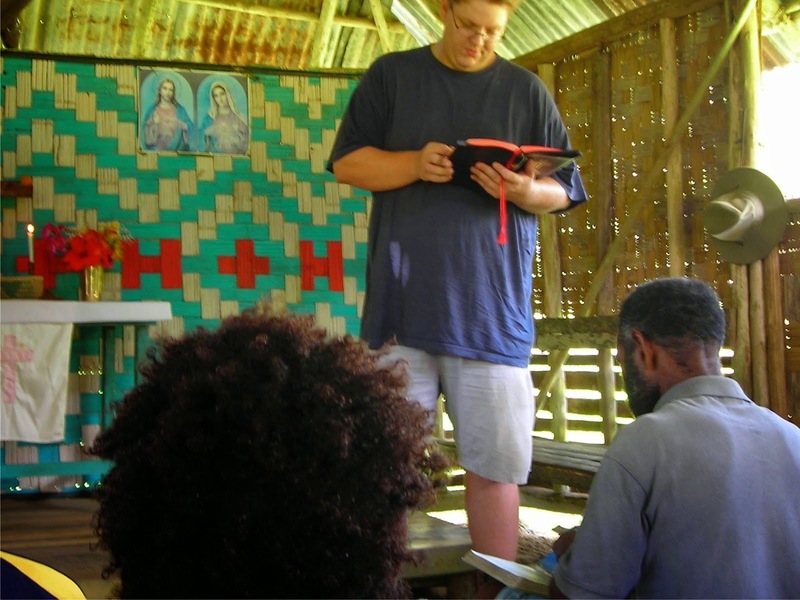 This story personally gives me great hope as when a Papua New Guinean group, is so affected by God's Word that they begin their own missionary endeavor is to me, a miracle. Living amongst them, and knowing them as I do, this is truly a miraculous event. God is awesome. I share this story with you so you too will experience that awesomeness. God's Word changes lives! Join us in that task. Some years ago I was asked to preach in front of a village church. If I stood on the stage, my head would hit the rafters and the bell, which was distracting people as I moved, so a man came up and put the podium in the dirt and to that's where I stood, on the floor. It got a chuckle from everyone, and they were VERY attentive. 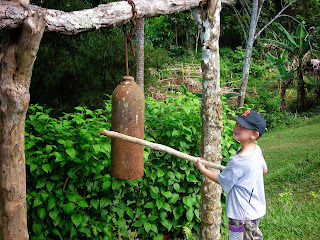 "Hey Dad, I'm going to hit this bell with a stick!" 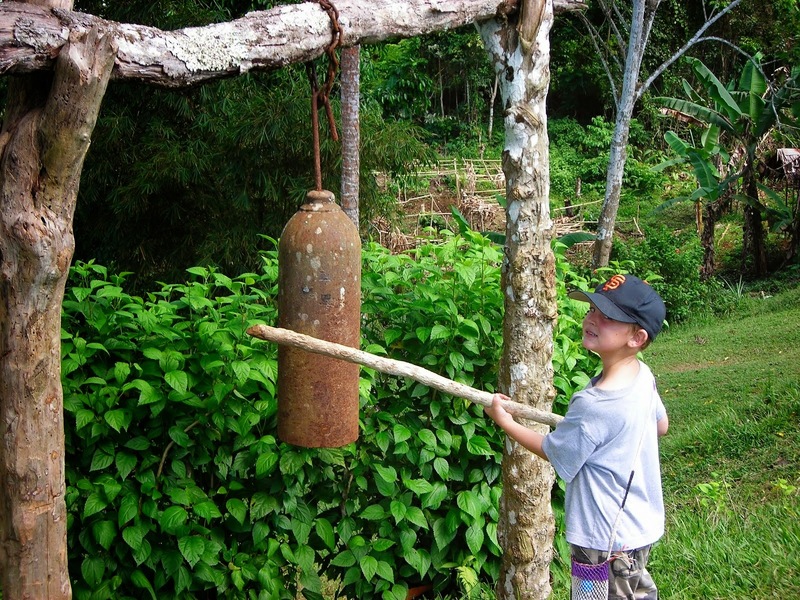 "cool son, but it's not a bell it's an old WWII bomb." "actually son, I have no idea what it is, go ahead and hit it. I've tried to explain this to my kids for many years. People get reputations. Your reputation often has an impact on what little surprises (blessings) come your way. For example, my brother in law is a well known SF Giants fan. My dad and I are also Giants fans, but my brother in law has the reputation of being a huge fan. Thus, when someone has some tickets to give away, they often think of him. Without ever knowing it, there is a conversation in someone's head. "I have these tickets to give away, who would really appreciate this gift?" "Oh I know, Chris is a pretty big Giants fan! I should give him the tickets!" "I would love to do something nice for so-and-so." "except they're really grumpy and angry and wouldn't appreciate it at all, in fact they'd probably lash out at me." "well I guess I won't do that nice thing for that person." Because we are not omniscient, there is no way for us to know how many times people are thinking about us. We can't see what they might want to do, have decided not to do, or otherwise if they even think of us at all. We simply have no way of knowing exactly how close we came to something awesome, but didn't. Or how many awesome things are waiting right around the corner. Likewise we can't know how many horrible things we've avoided, or how many things we've been protected against. When I hear people saying 'I'm unlucky' or 'No one ever gives me anything!' or any other famous quote from the Book of Grump, I have to wonder, how much of a self-fulfilling prophecy that attitude really is. "No one likes me!" Not if you keep up THAT attitude! So my question is, "why spend your life with a bad one? If it's the only thing you can really control in your life, why are you betting against yourself?" I have found, that the single strongest aid in helping me correct my attitude is the Word of God. Reading it sets my world in perspective, gets me outside the limited boundaries of my immediate surroundings, and shows me how Christ would behave. For those of you with a lean towards being more Grumpy, I would highly suggest a daily reading of the Bible. please consider helping us reach 100% to get this book published. We haven't updated our records for your addresses since 2007! We need your current mailing address, because we have something we'd like to mail you. Could you please drop me an email, or reply to this privately, and give me your full mailing address and your current email address? I'm looking at hours of updating my databases, and if you send it in, you'll save me the time of chasing it down. I'm sure my records are like 70% accurate at this point and I'd like to make them 100% accurate so that I don't mail our latest family photo card to a perfect stranger. A common past time of people in our organization up in PNG, is games. Card games, board games, whatever. It doesn't require electricity, it's a social thing to do, and it's fun. When we returned from PNG we found that the gaming industry (not video) has been booming. So we picked up a new game to us, Dominion, for Christmas! We heard it is growing in popularity amongst our peers in PNG. We've played it enough that we're ready to go back to PNG and be competitive. Tonight we all got a little crazy and built our own deck to commemorate PNG. So… for lovers of the game Dominion, here is our PNG Dominion deck, specially customized and tested to give you a little taste of the Eastern Highlands, Dominion style. 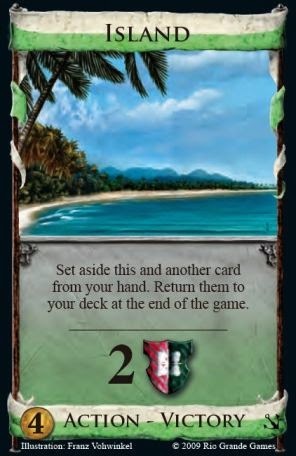 (For those who don't live in PNG, this is a fun deck too). This deck even gives the feel of the highlands, it's a slower pace, there aren't a lot of complex card drawings, often your turn is very straight forward and simple. PNG STYLE. Also the deck has a little bit longer of a play time to it, much better for relationship building, you don't have to fully concentrate on all of the turns. It requires the base game, hinterlands expansion, and seaside expansion. HINT: For extra fun, speak only Tok Pisin while playing and pronounce the thief 'Steelman' and the money 'gol, silva, coppa' etc. If you don't have these packs, well then, we'll have to have you over some time to taste a little bit of PNG. Strategy hint: Invest quickly in the thief. Sydney got 3 gold in 1 turn with the thief, but even if you're robbed from frequently, you can still win the game! Hmmn…. food for thought. years. When we return in July, we won't be back in the U.S. until 2017. Will we be returning to Drone delivery? Quad copters everywhere? Links like this make me think... yes... we will. that sells helmets to protect you from drones getting in your face. technology will bring in the next 2 years? It's 2015!! What will happen by 2017!? Our health insurance premiums are more than double what they were 8 years ago. What I pay per month right now seems very high to me. 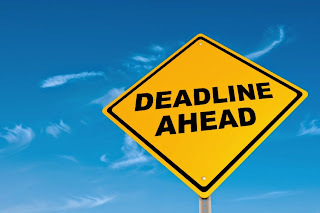 I know of at least one missionary couple who has opted OUT of medical insurance, and is putting that monthly premium money aside in a health spending account and earning interest on it, instead. I was considering that tactic. Honestly, we've been paying for health insurance and it hasn't really done us any good through our last 2 major health crisis. It did help some, but after deductibles, out of pocket, and insurance red tape, it really wasn't enough to even repay the premiums we are paying annually. Which says that we'll be fined for not having health insurance. Families: For families the 2014 health insurance non-compliance penalty is capped at $285 per family, or 1% of income, whichever is greater. In 2015 it rises to the greater of $975 or 2 percent of income. And by 2016, it will jump sharply to $2,085 per family, or 2.5% of income, whichever is greater. So... if I opt OUT of health insurance, then the U.S. Government will fine me an extra tax. I think this Obamacare act is the single largest cost increase to American based missionaries in the last several years. Our expenses went up $500 p/month just because of that. We are currently looking into alternative health care providers to see if there is a way we can be covered. We've already increased our deductible as high as it will go to make sure our premium didn't triple. Insurance companies aren't stupid, they pass on any extra fees to the customer. Only this particular customer, isn't very happy with the product he's getting.